Sue me and I’ll sue you back. The Apple Samsung saga continues. Today TechCrunch announced that Samsung filed a patent lawsuit against Apple, alleging among other things, that the iPhone 5 violates several of Samsung’s patents. I find it quite humorous that Samsung is suing Apple for patent infringement, when by their own assessment, the iPhone 5 is eons behind Samsung’s Galaxy SIII. Is Apple violating the ‘not-living-up-to-expectations‘ patent? Perhaps it’s the ‘my-phone-does-way-less-things-than-yours-does‘ patent that Samsung is protecting. Or it could be the ‘your-phone-is-almost-as-unwieldy-as-mine‘ patent, that Samsung takes issue with. Whatever the actual basis for the suit, I doubt the case has any real merit. From what I gather, the suit is a function of principle. It has absolutely nothing to do with the billion dollar shellacking you took recently? We all know that Samsung has to (try to) save face after having their bums handed to them. So, they’ve trumped up some claims that Apple violated one of the 30,000 patents that Samsung owns or has acquired. We’ve been down this road before, haven’t we? 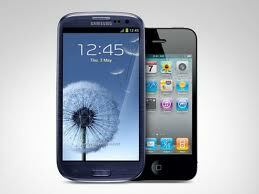 Samsung has sued Apple in nine different countries, and has been successful a grand total of zero times. They get an “E” for effort, “T” for nice try. That’s for all my Tribe Called Quest folks in da house! Except the pack o’ fools telling you to waste your money on these frivolous lawsuits. Don’t you know your lawyers will follow your silly asses all the way to the bank? Oh well, it’s your money. Take solace in the fact that their commercials lambasting Apple are pretty funny – even to Apple fans. Being number <insert any number but “1”> isn’t all that bad. Apple 1 (billion). Samsung 0. Samsung is cute and all, but original…not so much. Yesterday, it was announced that the jury in the Apple patent lawsuit against Samsung had returned a verdit in Apple’s favor on virtually every count of their complaint. The jury determined that Samsung had, in fact, ripped off Apple’s designs for the popular iPhone and iPad devices. Despite a spirited defense, and counter complaints against Apple, alleging that Apple had infringed upon several of Samsung’s patents, the jury soundly rejected Samsung’s arguments and found in Apple’s favor. The jury found that several of Samsung’s products illegally used Apple’s patented “bounce-back” feature when a user scrolls to an end image, and the ability to zoom text with a tap of a finger. In so finding, they awarded Apple $1.05 billion, about $1.5 shy of what Apple was suing for, but a marked more than Samsung expected to pay. Apple’s lawyers, seeing blood with the jury verdict, are now asking the judge to levy treble damages (triple the amount of the actual damages awarded a prevailing plaintiff, leveled to punish the losing party for willful conduct). Of course, lawyers for Samsung immediately filed an appeal, seeking to reverse the jury verdict and challenge the damages awarded. It’s unlikely that they’ll be successful. 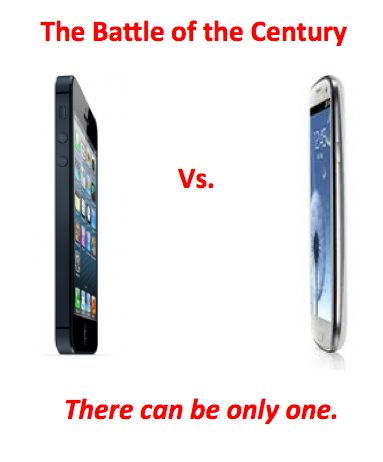 But the bigger issue are the implications for the rest of the mobile phone industry. Samsung isn’t the only mobile phone maker to use Apple’s bounce-back or zoom features. A full range of Android devices are likely going to be in Apple’s crosshairs soon enough. Samsung was one of the first companies to leverage Google’s Android platform on it’s devices, but it is far from the only one. Motorola, HTC, and LG are all handset makers utilizing the Android operating system in their phones, but Samsung was by far the leader, with over 20 million Android smart phones sold since their introduction in 2010. The real impact of this verdit will be seen in the coming months, as manufacturers determine whether sticking with Android will expose them to the type of liability Samsung has been exposed to. If anything, this verdict re-establishes Apple claim to innovation.